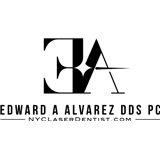 Edward A Alvarez, DDS, PC (New York) - Book Appointment Online! In practice since 1998, Dr. Alvarez is an expert in CEREC same day digital dentistry. As one of the first dentists in NYC to fully integrate Cerec in his practice over a decade ago, Dr. Alvarez is able to provide patients with same day crowns, veneers, inlays, and onlays. Even full same day smile makeovers are possible. Dr. Alvarez is also a leader in Laser Dentistry, having close to two decades of experience, including having lectured and trained other dentists in the use of lasers, both domestically and internationally. Dr. Alvarez is often found as an expert dentist in publications such as Men's Fitness, Women's Health, Reader's Digest, Huffington Post and others. He has been featured on various television segments, and you can find him on FOX, ABC, NBC, CBS, and others. Dr. Alvarez wants to make your experience a relaxing one. After 16 years in the same location, Dr. Alvarez has recently built one of the most advanced dental offices in New York. Our patient chairs are both massaging and heated. Overhead lighting is patient controlled for color and brightness. We always have fresh ground coffee, teas, and spring water available for your enjoyment. Enjoy Netflix, Amazon Video, and other streaming services while you are in our office. Sonos and Sirius Satellite/Internet Radio are available for your listening pleasure with the use of sound cancelling wireless headphones. We fully understand that everyone's time is valuable, therefore, we keep your waiting time, if any, to a minimum.